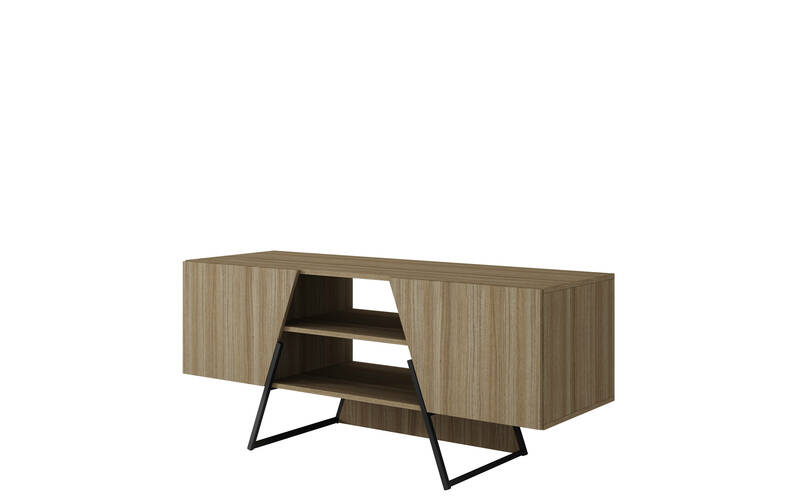 Mid Century - Modern TV Stand for Living Room use. Includes 2 Shelves and 2 Storage Compartments. 2 Center Open Shelves for Wire Management. 90° Open Door Style with Slanted Trim Design. Hollow Frame Splayed Legs made from Steel for Fashion and Durability.